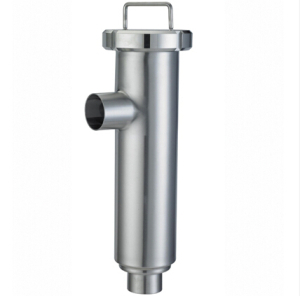 90 deg Filter Strainer available with RJT, IDF/ISS, Clamp, Din, SMS and Weld ends. Size range is 1″ to 6″ complete with a wide range of mesh and perforated gauges. The illustration shows a Round Slotted Nut body fitting but this can also be a Tri Clamp.